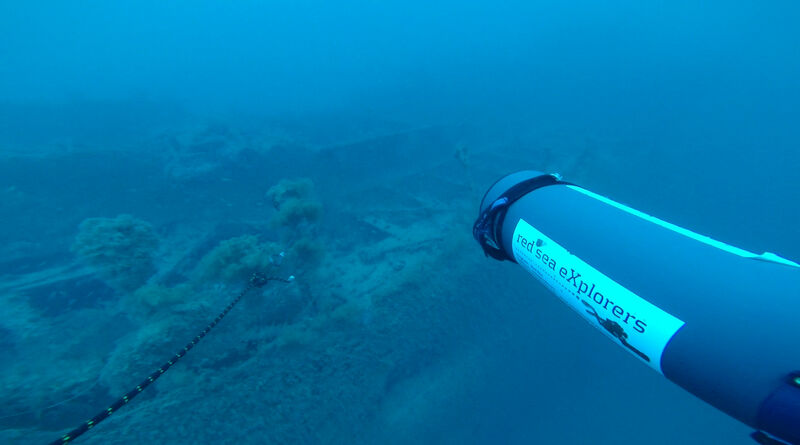 Over the past two months Red Sea Explorers has successfully located and explored an assortment of virgin wrecks in the Red Sea. The first was the Angel Pipe Wreck: PIL (as named by us), a cargo ship around 100 meters in length sitting in 78 meters of water in the middle of the Strait of Gubal. 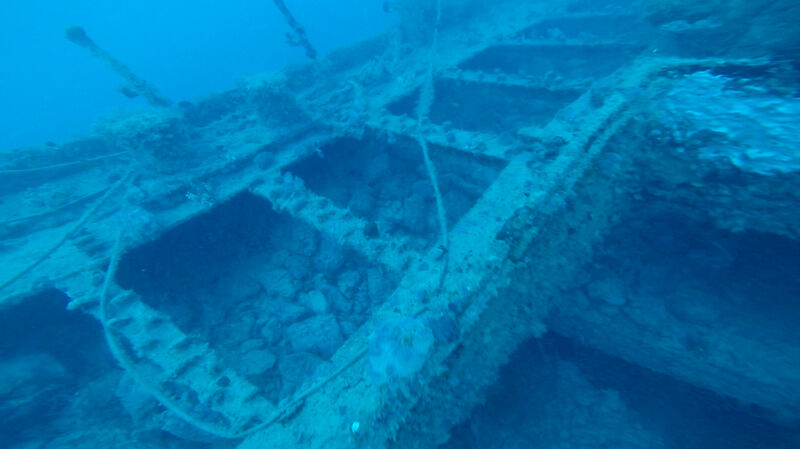 In a location nearby, the second wreck was an unidentified steam ship from the late 1800s, also 78 meters deep. Turning to our vast choice of GPS locations, courtesy of a fisherman, our third and most recent target was no easy feat and the expedition went as follows. 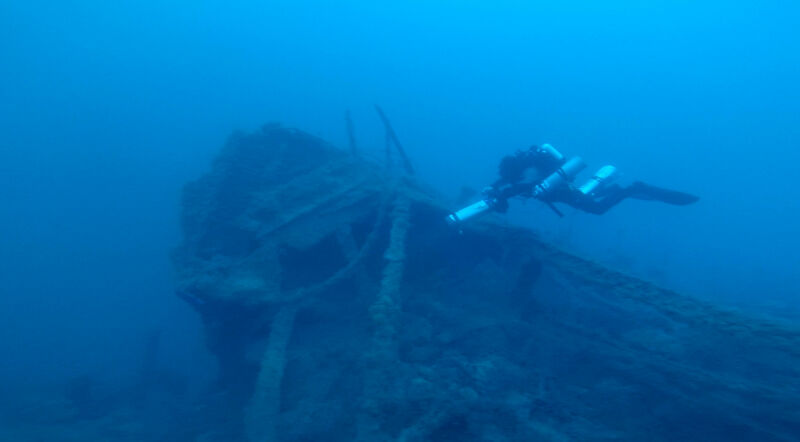 Also located in the northern Strait of Gubal, however in the middle of the Traffic Separation Scheme (TSS), the wreck sits at 68 meters and reaches 52 meters at its shallowest part. Her position is in the shipping lane east of Ashrafi Island - one of the windiest parts of the Red Sea with ripping currents, making it a challenging dive. Considering its position in the TSS, which is essentially a highway of ships, the team was initially hesitant to proceed. However after careful assessment of the traffic and its nature, the team became more confident and went ahead with the dive. In order to limit the exposure to the channel’s traffic, the dive was limited to 75 minutes total runtime. 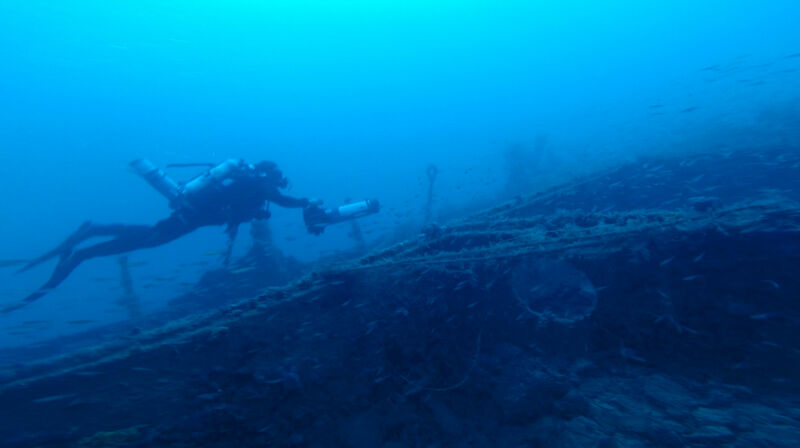 As we dropped down the line, the wreck’s silhouette began to appear at about 50 meters; to our satisfaction it was a big ship and well worth the effort. Her estimated length is 80 to 100 meters and beam is about 10 meters. She is sitting upright with severe damage to the bow. 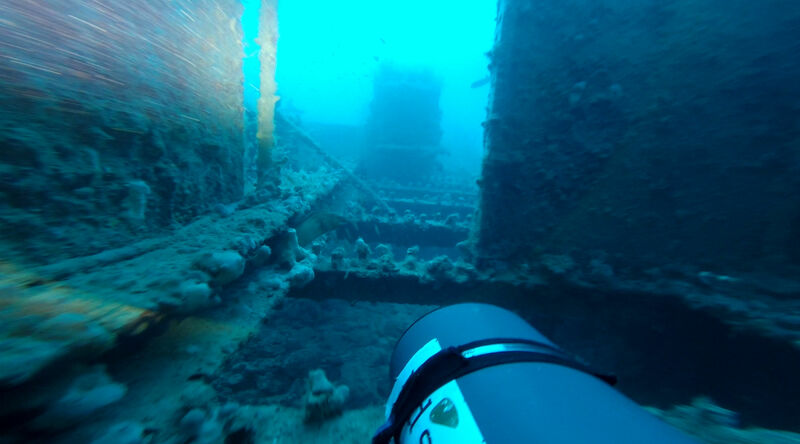 The wreck has several cargo holds with winches in between, and the holds are full of what seems to be coal. This led us to believe that she is a coaling ship similar to the Rosalie Muller, only older. Though the deck has collapsed in some parts, the floor was visibly made of wood that has since petrified. There are davits all along the sides of the boat but no lifeboats in sight. The crew must have abandoned ship or the lifeboats have since drifted away. The extent of the damage suggests that the ship must have gone down very quickly, otherwise the damage occurred when the ship hit the bottom. There are no clear markings to identify the wreck, but she is a big ship and we will hopefully be able to identify her after further exploration. So far Faisal Khalaf and Igor Siryk are the only two divers that have been on this wreck. This is an ongoing project.